Reliable and quiet, high quality induction motor. 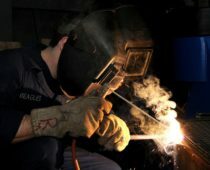 No harmful fumes emitted, ideal for use in enclosed spaces. Folding handle for convenient transportation. Speed - 20-25 Metres Per Minute. Impaction Depth - 150mm Climb. Ideal for compacting all bituminous materials, Tarmac, Gravels, Sands, Block-Brick Paving etc. Engine Manual, Users Manual, plus a full tool kit with every plate. Plate Size: 495 x 320mm. 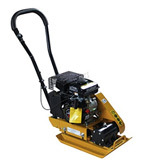 Among the most important of all construction equipment, the wacker plate – or compactor – is also one of the simplest. 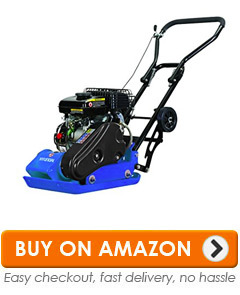 It is designed for compacting soil or gravel for ease of use, and is basically a heavy steel plate attached to a machine that looks something like your push-along lawnmower. The idea is that the plate is powered by a motor – some are petrol or diesel, others may be electric – that moves it in a powerful up and down motion, so it easily and effectively compacts the material beneath it. Do you need one? Whether you are in the construction industry or involved in, for example, landscaping a garden you will find a wacker plate to be invaluable. You can hire them, of course, but we reckon that once you have seen the prices of some of these you will recognise the economy of scale in buying your own. After all, if you are using it for a one-off project, you can simply sell it on afterwards and recoup some of your costs, this saving on expensive hire prices. It’s a sensible choice if you want to complete a job and save money in the process! When buying construction equipment, it is recommended you stick to quality brands, as they promise the longest life and the best performance. Our list includes some of the best-known names in the business, so you should be able to choose one from a reputable brand at a sensible price. There are also different levels of power and size when it comes to wacker plates, so you need to choose the one that is best for your specific requirements. Before we go on to tell you about the top 10 best wacker plates, here’s a little bit of info on what they are, why you need one, and how to choose the best. Our first choice is from Evolution, not one of the biggest brands but one with a fine range of such devices, and it is an electric model. It’s a personal choice as to whether you prefer electric or petrol power, as both have their advantages. However, there is little doubt that the instant operation of the mains-powered device is a bonus, and with lengthy extension cords this model can be used anywhere. It is perhaps not the most heavy-duty model, but it is still worthy of this list. A high-quality induction electric motor provides quiet running and efficiency, and plenty of power for the 420x300mm plate – not the biggest but perfectly adequate – while a foldable handle means it is easy to transport from place to place. It promises low-maintenance operation, and being electric is great for using indoors or in enclosed spaces, and it does the job it is intended to. If you have a need for a real heavy-duty wacker plate this may not be for you, but for garden use at less than £150 it’s perfectly good. The first of our petrol models is this one from Neilsen, a highly regarded brand in construction equipment of this type. The advantages of petrol power shone through as this is an altogether different beast to that above, being both more powerful and far more capable. It has an impaction depth or 150mm, which is more than adequate, and can cover 20m a minute so is very fast, and it’s very effective and useful for whatever size of project you may have. This petrol model, from the known Foxhunter brand, benefits from being a 4-stroke device so you have no need for awkward two-stroke mixes when fuelling up. 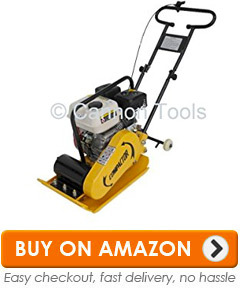 It is sufficiently powerful at 3hp, and has a 480x310mm plate which is about the standard. This one is not as heavy or powerful as that above, but is easy to use in the right hands and would be great for landscaping or for on-site use for heavier jobs. Well-made and very robust, it has a shock strength of 800kg so can push out some serious power, and you also get a free tool kit with this one which is a handy touch. It may be a touch heavy for those who have no experience, but will certainly get the job done. 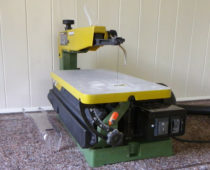 It’s less than £500, too, which is a great price for a machine of such quality, and we reckon it could be one for the shortlist if you have several projects on the horizon. This very small and compact wacker plate is designed for smaller jobs. It differs from those above in that it is hand-held, so is clearly designed for the smaller jobs around the home or garden and not heavy-duty construction use. Nevertheless, it’s a handy little machine that may come in somewhat useful, and is affordable so makes a good addition to your tools. 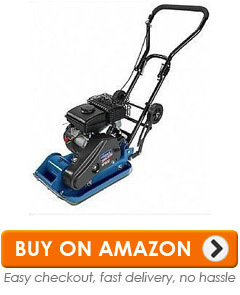 It’s quite powerful and easy to use, and mains-powered for convenience. 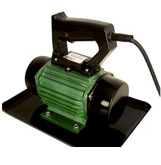 For such a small device, the specifications are quite impressive: a 250watt motor is more than adequate and it can run to 3000rpm, while a galvanised steel plate promises long use and easy maintenance. If you have smaller jobs coming up in the foreseeable future that you think do not require a full-size wacker plate, this one could be yours for around £100, but bear in mind that the electric model that is first in these reviews is not much more expensive. Back to the standard design with this heavy-duty wacker plate from Sheppach. It has a very sturdy frame and a powerful motor so you can handle even the most arduous of projects with this one. 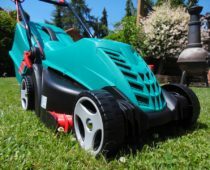 With 2.8hp it is relatively easy to handle, even for the novice, and is great for use on the likes of patios and landscaping projects, and as it is a petrol model you can take it anywhere you want and use it to the full. For many people, petrol may be a downside, but for serious wacker plates it is perhaps the right way to go. It provides a more powerful and robust action and makes life a lot easier, and modern engines are easy to start and economical. We like this one as it has a quality feel to it – and it is from a great maker – and although it is one of the more expensive at not much under £500, it is well worth a second look. Although now regarded as one of the world’s leading car manufacturers, Hyundai came to prominence as a maker of quality construction equipment, and still offers a vast range of machinery to the construction industry. This very well made and top-quality wacker plate is a petrol model with a 2.8hp motor, and we have to say is one of the best models we have seen. 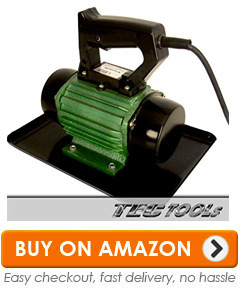 It’s designed to be easy to use, and has a handily-sized 12inch plate for effective operation and great results. The 8mm heavy-duty plate is able to compact down to 200mm, which is one of the most capable we have seen, and it is very robust for low maintenance. 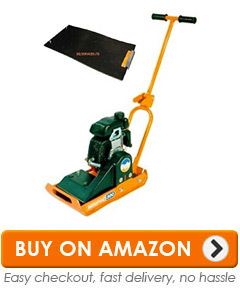 It comes with a 3-year warranty that is typical of the brand, and is suitable for even the heaviest of jobs. All in all, this is a very impressive construction item that will be great for using on the home patio or for garden projects, as well as for site construction use. At about £400 it is also not bad value for such a brand, so recommended by us. This petrol model, from the known Foxhunter brand, benefits from being a 4-stroke device so you have no need for awkward two-stroke mixes when fuelling up. 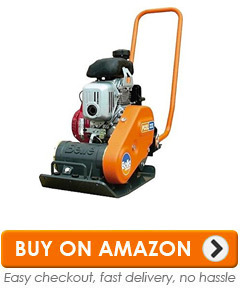 It is sufficiently powerful at 5.5hp, and has a 480x310mm plate which is about the standard. This one is not as heavy or powerful as that above, but is easy to use in the right hands and would be great for landscaping or for on-site use for heavier jobs. 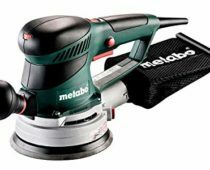 Well-made and very robust, it has a shock strength of 800kg so can push out some serious power, and you also get a free tool kit with this one which is a handy touch. It may be a touch heavy for those who have no experience, but will certainly get the job done. It’s less than £400, too, which is a great price for a machine of such quality, and we reckon it could be one for the shortlist if you have several projects on the horizon. If ever a wacker plate meant serious business, this is the one! It comes from Belle, a brand with a strong reputation for excellent construction and home and garden machinery, and is a quality item throughout. 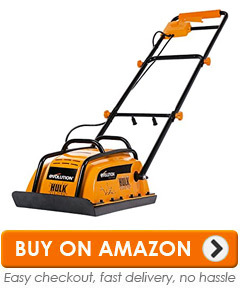 However, despite its impressive power and capability, it weighs just 50kg, so is very easy to move around, and it can be used equally well on patios or on full-on construction projects, with ease of use being one of its main priorities. A petrol model, this one comes with a removeable handle for ease of storage, and both front and rear lifting handles so it can be picked up and carried by two people with ease. 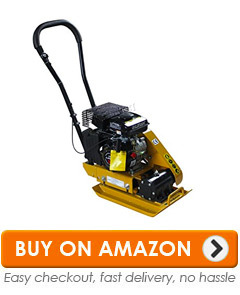 It can easily compact everything from soil to asphalt, and is great for levelling patios and other ground. As we said, Belle is a respected brand that has a reputation for reliable and durable machinery, and that is reflected in the price: this one is almost £900. This small model from the Belle range is designed for light usage, and weighs just 32kg. That doesn’t mean it can’t do the job, however, as it is very capable indeed. A petrol engine gives it 2.5hp, which is more than adequate for patio work and garden levelling, and it is easy to use and move around. It has a nicely designed handle that makes it simple to use, and is easy to start. A 300x400mm plate is perfectly useful, and with 12metres per second it covers a lot of ground. A petrol model, this one comes with a removeable handle for ease of storage, and both front and rear lifting handles so it can be picked up and carried by two people with ease. 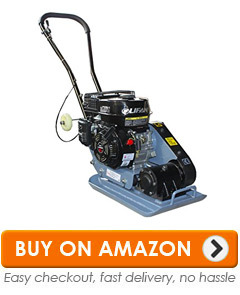 It can easily compact everything from soil to asphalt, and is great for levelling patios and other ground. As we said, Belle is a respected brand that has a reputation for reliable and durable machinery, and that is reflected in the price: this one is almost £700. That’s our list of ten best wacker plates complete, and if you want one of these then you need to consider it carefully. We’ve done our best to cover all the aspects you need to know about, but before we go on to sum up, here’s a quick reminder of some of the important features to look for. It’s interesting to note that construction equipment has barely changed in many centuries. The need for a flat surface on which to build has always been there, and while it is unlikely the ancient Egyptians used wacker plates when building the pyramids, they most likely used the same process in getting the surfaces flat and even for building on. 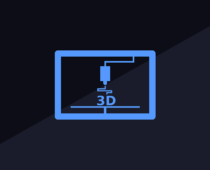 Whatever the nature of your project, an even surface is vital, and one of these clever machines will make your life a lot easier in achieving things in a simple fashion. How do you choose a wacker plate? The first thing to do is red through our review carefully so that you can see the differences between the different models. If you are not familiar with these devices, you may also benefit by talking to someone in the industry who has used one, and there are also many videos online that you can watch to see just how to get the best out of your wacker plate. So, rather than waffle on about the various ways you can use one of these, let’s get straight down to business and show you the top 10 wacker plates on the market right now, and help you get to grips with what you need to know in order to get the right one for you. We guarantee that whether you are involved in construction or are laying, for example, a patio, you will find a wacker plate makes life a lot easier and speeds up the process considerably. These very clever devices are easy to use – although the bigger models do need a bit of strength – and also get the job done, so before we go on to sum up, here’s some points to consider. Petrol or Electric – most of these are petrol models, which tends to be the norm for serious construction items. The advantage of a petrol model is that it is not restricted by a power cable, so can be used anywhere. The advantage of electric is that it is there at the touch of a button, but be aware that most of these have easy start engines nowadays. Weight – be careful not to buy a model that is too heavy for you to use, or you will be making an expensive mistake. There are some heavy-duty machines among this lost that may not be suitable for smaller people or for novices, so choose carefully. Price – the two models at the end of the list, from Belle, are considerably more expensive than the rest, but there is no doubt that they are among the best you will buy, so we recommend that if you can afford it, pay for the best as you will get better performance and longer life. 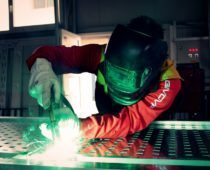 Those are our points to consider when choosing a wacker plate, and you may wish to look more carefully at the specifications on offer, so all that remains now is for us to wrap it up. So you have decided you need the best wacker plate – everybody does! Which one would we recommend? The Belle model, at number 9, is undoubtedly the best of these but is expensive, so if you are on a budget we recommend you check out the Hyundai model, number 7 on the list. For £400 you get a very capable, reliable wacker plate from an excellent brand that can handle any job, and you will find it makes your life a lot easier!